Hello and welcome to the WOW! Embossing Blog! I used a black cardstock base and stamped the Vintage Wallpaper on it. Then I embossed it with Opaque Bright White and Opaque Pastel Blue. Simply sprinkle half of the card with the first color and tap off the excess sidewise. Then add the second color, overlapping the first a little bit, tap off sidewise and emboss. Iritis here again and this is our Art Deco month. Art deco - A decorative and architectural style of the period 1925-1940, characterised by geometric designs, bold colours, and the use of plastic and glass. This article had been published in UK Craft Stamper August 2013 issue and this is the same article here for you. So I will show you some great technique that can make a 10 minutes artistic card.I am totally not sure it is Art Deco, but it's as close to it as I could craft and I really wanted to share this easy technique that was print published by me in August 2013 issue of UK Craft Stamper magazine. This is my own fast stamping and embossing techniques and all you need are great huge background stamps , StazOn inks and good embossing powder. That's it. Not more then 10 minutes to make am artsy card. And as WOW! 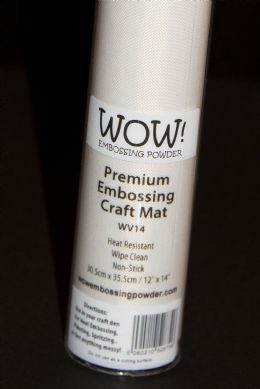 Embossing Powders have those great background stamps and sure have great embossing powders, that's all you need. Hello all, WOW its been a super challenge this month. I hope you have all joined in. I must admit I was stuck on this challenge as I had no idea what Art Deco/Noveau was UNTIL..... I googled imaged it! AMAZING and what makes it even funnier is that style of art is one of my favs. So my next issue was what am I going to do. I think most of you will all relate to this. You buy papers, awesome papers and save them cause they are so stunning. We'll that's what I do with my G45 papers...I LOVE THEM. but hardly used them cause I don't want to cut them, sound like you? Well I'm telling you something now! CUT THEM, its so much fun and you can make amazing projects. Don't be afraid as you can always go buy another piece. So my share today is inspired by the Noveau style and I have used Graphic 45 with Metallic Copper Embossing Powders and WOW Copper Foil. I love Art Deco so was really pleased to see the challenge that WOW set us this month. The base of the heart is just cut (freehand) from a cardboard box... then I painted it with a cream acrylic paint. Next I inked the edges of everything I wanted to use with silver embossing powder - I do love the effect that this has given to the edges and flowers. Art Nouveau with free clipart and Wow embossing Powder! Hi everyone, it's Sarah here with a project that I have made for this months Wow! Art Nouveau theme. I had bought a lovely ornate black frame and had been wanting to create a piece of artwork to go into the frame for a while and this months Wow! theme provided the perfect theme. I love the beautiful forms within Art Nouveau style and hunted the internet for non-copyrighted clipart that I could use. I found this fabulous background artwork online and decided to use this as the Art Nouveau border for my quote. I had a quote in my head based on one of my favourite quotes 'Love is friendship set on fire' but with a new twist that incorporates my love of everything that sparkles. :) I used an Art Nouveau inspired font to create this quote and added my anniversary date. Summer is almost over but I still have a few more birthdays and weddings to attend. What I love about these events are the cakes, especially layered ones! I came across a tutorial on this technique while feeding my addiction to YouTube. Using paper scraps (who doesn't have a mountain of these), you can cut rectangles to put together into a layered cake. Start with a sketch, on cardstock, of the cake that will fit your card and be the base of your card creation. Step two is to cut rectangle shapes from various paper scraps to fit the layered shapes in your sketch. Step three is to adhere the layers to the sketch. You can choose to outline each layer for a little more emphasis. The final steps are to cut out the cake and emboss it with a layer of regular or ultra high clear, glitter or any other delicious Wow embossing powder to give this cake it's body and luster. The mini cakes are great for cards, scrapbook pages or gift tags. Hi, Chris here again with this month's theme - Art Deco. I made a Fan to put onto the wall using some of my craft stash which I had left over from an Art Deco kit. To add interest to the images I inked over the dresses, hats and jewellery with a WoW Embossing Pen and added coloured WoW Powders. 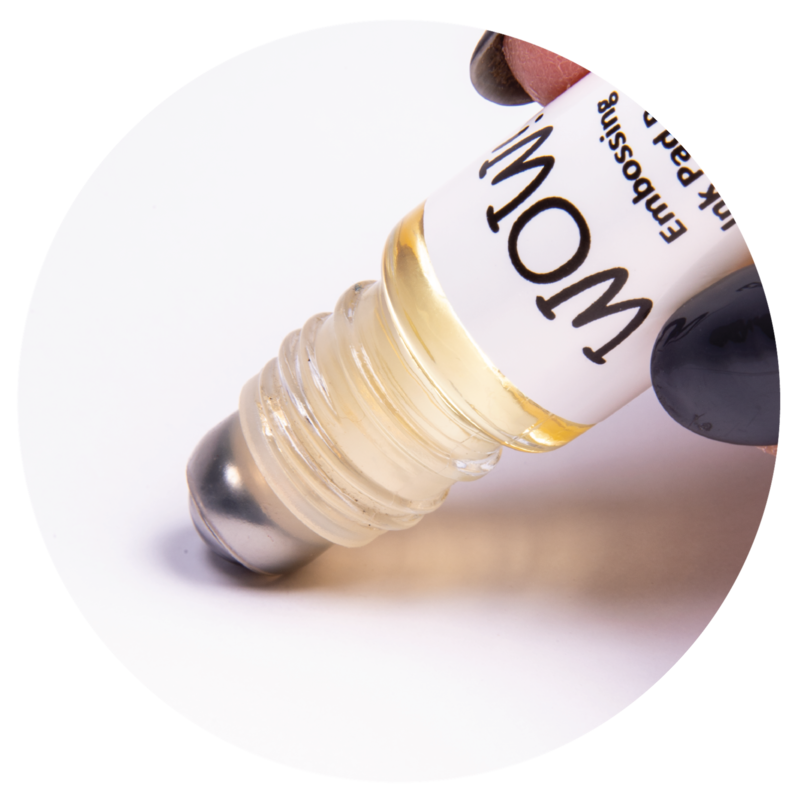 You can re-colour and update any embellishments that you have in your craft stash by adding just a touch of Embossing Powder. To make the Fan, I stuck 2 A4 sheets of paper together then folded them in a concertina, opened them out and attached a binder at the bottom so that they formed a semi-circle. I then cut the two sides away. I inked the edges with a WoW Embossing pen and added Process Blue powders. Three triangles of black card were added which I marked with an Embossing Pen at random angles, then embossed them with Metallic Platinum Powder. I then added the two Art Deco altered images to the fan. Feathers and sparkles were attached, plus a tassle made from coloured twine. I couldn't resist doing another tag this month and thought I would share it with you. The theme Art Decor inspires a lot of things and after looking on the Internet I have come up with my own version using WOW 'with love' stamps for the sentiment, 'Brocade' for the background and WOW 'bright white embossing powder' to set it all. Today I have made an 'Art Deco' Tag and I have to say that I have dug into my craft stash and come out with some items I haven't used in years! I firstly die cut a white tag from Tim Holtz Alterations, then stamped in Versamark the Indigo Blu Blazing Poppies and heat set with WOW Platinum embossing powder. I then sprayed over the embossing with Moon Glow Glitz Spritz - Moon Endless Sky and heat dried. I then used a Crafters Workshop mini hexagons stencil and used this with blue distress inks around the edges. I then got some masking tape and stuck this onto the tag in the top right and bottom left corners folding it and making it bobbly. A window made of glass??? 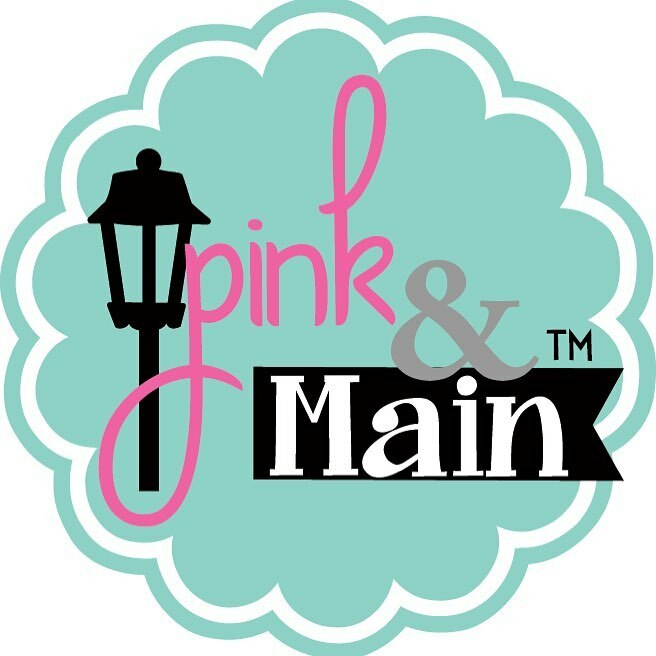 August Challenge and July Winner!